Ronan recently joined Bannon in September 2018. 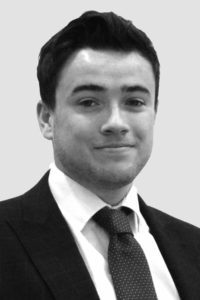 He is currently a member of Bannon’s Professional Services Department and is currently working closely with senior management in all aspects of Commercial Valuations, Rent Reviews, Lease Renewals, Rating, Compulsory Purchase Orders and Landlord & Tenant matters. As well as this he is also involved in Industrial Agency. Ronan recently graduated from Dublin Institute of Technology with an honours degree in Property Economics and is currently working on his APC’s.